Home / Knowledge Base / Website Hosting / How is My Website Hosting Transferred to Webstix? One question we sometimes get is how to transfer a website from another host over to us. It’s not too difficult but there are a bunch of steps that need to be followed. This article will outline the general process for moving a website from another host over to us. In a nutshell, we’ll get your website files (usually a zip or tar file with permissions preserved) and a database dump (export) file. Sometimes, it’s all together in one zip or tar file. We’ll then create the space on our server and set it up under your domain name. We can then test it internally to make sure everything works fine – sometimes there are some programming libraries or other things needed. Once we see it’s working fine, we’ll ask you to change DNS or you can give us a login to change DNS for you. It then takes anywhere from 1 hour to 24 hours to change everywhere. You can then shut down your old hosting account in a day or two as long as you don’t need it for email or any other server (you are responsible for this – we will not do it). Think about DNS like this… it’s a place for your domain name where we can point email to one server or the website to another server and so on. A domain name is kind of like a phone number. If you move your business to another building, your same phone number can be pointed to the new location. It’s kind of like that. We usually like to make one, minor change to the home page so you can tell if you’re seeing the website on our server or not. If you’re not seeing it at our hosting at that point, then you might need to troubleshoot your internal network. We’ll get the website from you – both a zip or tar file (with permissions preserved) and a database dump/export. We also need to make sure your .htaccess file was included in the zip or tar file. You should not make any changes to the content on your website until you start seeing the website on our hosting. If you have an SSL certificate you would like to move over, we’ll need those files. If your SSL certificate is standard strength, then it might just be best to buy an SSL certificate from us, but it’s up to you. 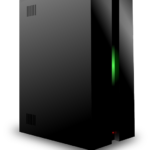 We will set up the space on our server and get your website working on our hosting. We will do testing to make sure the website works as it should. We will make a small change to the home page so you can tell when you’re seeing the website on our hosting. At this point, DNS should be adjusted. The TTL (time to live) on your A and CNAME records should be set down to 1 hour or less. DNS will be changed to point to our server. The TTL will be set back up to 1 day. If your website has e-commerce, we will check the database and bring over any orders that have recently been placed to make sure there is no data loss. We will confirm that you’re seeing your website on our hosting. If not, then you may have to adjust your internal network settings. You will receive a document from us with all your hosting settings. In 48 hours, it’ll be safe to shut down your hosting account with your old host as long as there are no other services there that you need (like email or anything else). You can then change your DNS access password if you like because we don’t need to make any more changes. This process usually takes 2 business days or so. It’s important to test the website to make sure everything works fine. We will guide you through this process and the steps above may vary per website. Webstix generally gives any client signing up for our hosting that pays 1 year in advance up to 2 hours or time to help you through this process. When we go over 1.5 hours, we’ll send you an update on our time and give you an estimate of how much more time we think it will take to get this work done. and you can delegate access to: info@webstix.com.